A type of flour ground from millet seeds. 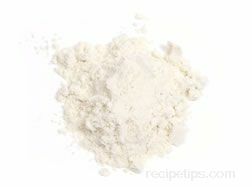 Since it is gluten free, millet flour must be combined with high-gluten flour when used in leavened breads. It adds an exceptionally sweet flavor to baked goods.